Length: Up to 77 cm. Behaviour/habitat: The Psammodynastes pulverulentus prefers hilly areas in primary and secondary forests. They are more seldom in the low lands and in human settlements. This, however, does not seem to apply to the example living in southern Thailand. In this area, the snake can be found in rotting leaves and on rubber plantations. 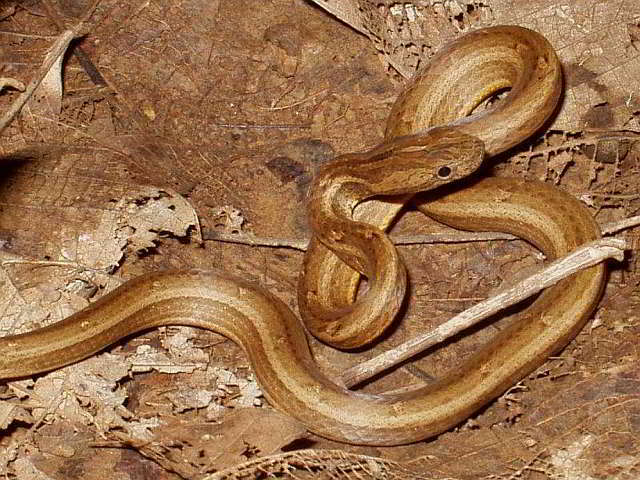 The snake is active at dusk and at night. The Common Mock Viper (has a head similar to a viper) lives mainly on the ground and eats geckos.